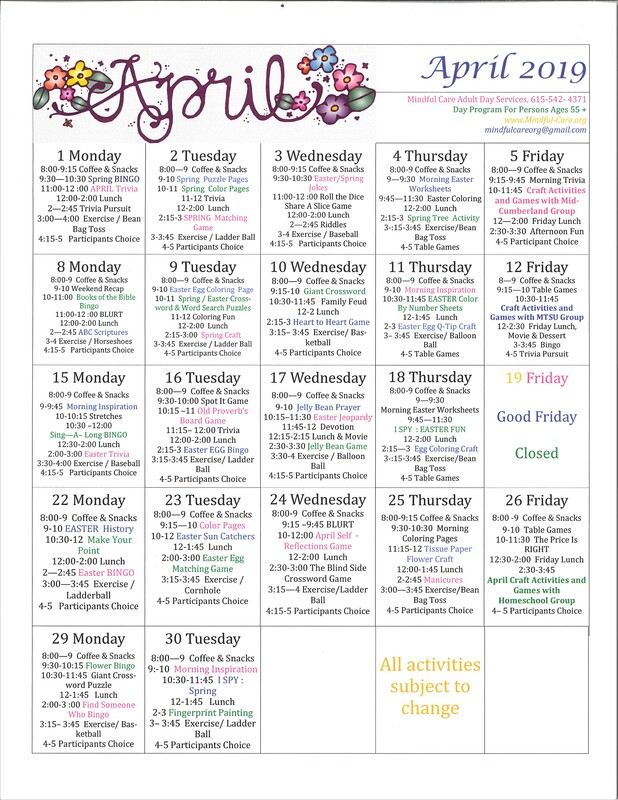 Check out what’s going on at Mindful Care in April! Download the PDF of the calendar. Click here.